Work with the industry leader. We supply high quality structural insulated panels to timber framers, and have been doing so for over 30 years. We have the experience, as well as the backing of our parent company, to ensure continued quality and consistent availability. Why Choose the Insulspan System? Not all structural insulated panels are created equal. Over the last three decades, Insulspan has been committed to creating the most structurally sound and consistently fabricated SIPs. When you choose to resell our panels to your timber frame customers, feel confident. Know that the quality of the panels matches that of your own product. The Insulspan design team has been combining SIPs with timber framing from the beginning. This means we know how to make the most out of your initial design. We can recommend ideas, such as pocketing rafters or trusses directly into the SIP walls, when needed. Perhaps the most important benefit we offer timber framers is our Ready-to-Assemble (RTA) system. It is the most complete in the industry. When combined with our detailed construction documents, it ensures your client’s builder is easily able to complete the home’s construction. The fewer issues experienced, the more successful the project. Successful projects lead to satisfied clients. SIP buildings are more energy efficient and can save your clients up to 60% on energy bills. Complete prefabricated construction with pre-cut timber framing, combines with our Ready-To-Assemble (RTA) Insulspan SIPs to speed-up construction times. Our SIP structure helps add engineering value to your clients’ timber frames. 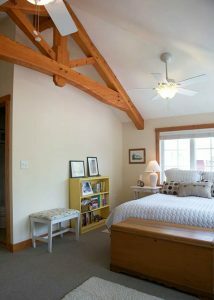 The engineering values of SIPs work in tandem with timber framing to help create large open spaces and vaulted ceilings. Insulspan SIPs reduce energy use, produce less waste, and provide structures’ longer lifespans. Find out how to combine the certitude of timber framing with the energy efficient savings, airtight quality, and structural strength of the Insulspan SIP system.